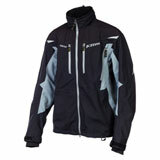 Here is a great selection of off road jackets at discount prices. 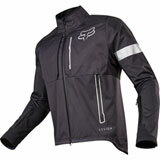 You will find classic style enduro jackets, mud coats and mx jackets for any type of foul weather riding. 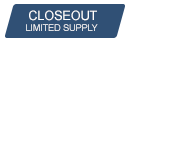 Latest Jackets Reviews – You could win up to $500 for reviewing products! This jacket is too thick and restrictive for off-road riding. More for dual purpose. The jacket run real small, but my husband took out the protection and it fit great. Pursang Jacket is great! Glad I got it! I purchased the Pursng jacket along with the Phantom pants that match a couple of months ago. So far, I have used the jacket on two long rides - a one-day and a two-day, as well as a couple of shorter trips near the house. I love the jacket! The fit is perfect - I'm 6'2" and almost exactly 200 lbs. and I got the XL. I have enough room under it for a Rib Protector that I just purchased, and wish I had had on my last adventure. Note that I marked the jacket as "good" on protection, rather than excellent like everything else, because it has no rib protection, the back protection seems awfully thin, and the elbow pads don't seem to line up exactly right. Although the jacket provided excellent protection as I was going through brush with thorns, etc. and generally provided good protection as I took a number of falls at the BMW Performance Center Two-Day Off-Road course, I did suffer a severe rib injury due to the lack of rib protection. I would STRONGLY recommend having rib protection, regardless of which jacket you purchase. I have used the Pursang jacket in temperatures down to 41 degrees in cloudy and humid weather, and it kept me perfectly warm with the liners in and only a t-shirt underneath. In fact, in temperatures just a little higher, I took the liners out and with only a t-shirt was fine. If the neck fitting is a big deal for you, I will say that that that is the one place where there is not very much by way of adjustments, but I just snap the top part open and am fine. Everywhere else on the jacket, there are multiple adjustments. All of the zippers and snaps seem to work very well. And I like the design of the pockets -- they have a design that will help keep water, etc. out. I think the value of the jacket is outstanding and I highly recommend it! Comfortable, good protection, great guarantee! This was my first Kilm purchase but likely won't be my last! It is pricey stuff! But with that comes nice armor/protection, tough durable materials, and an outstanding guarantee! 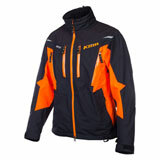 Klim states that if the rider is in an accident in the 5 years following the jacket, they will replace it for free! Thats awesome! They have a few hoops to jump through of course like pictures of the jacket, copy of accident report, you have to fill out their form... But all reasonable things. I hope I never crash of course, but it's really nice to know Kilm has my back if I do. Contrary to the video review over another website this coat does NOT run large. At 6'2" 190 lbs 42 in chest I'm normally somewhere between a L and XL. Taking their advice I ordered a large which was too snug to wear a base layer comfortably so I returned it. I'd give the coat 5 stars if it wasn't for the annoying neck enclosure... just cant get it adjusted comfortably.